Bicycle riders and motorcyclists in Portland, Hillsboro, and Gresham are generally obligated to follow all of the rules of the road just like any other motorist. 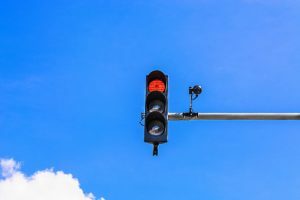 However, the Oregon Senate has unanimously approved a bill permitting motorcycle riders and bicycle riders to proceed at a red light under certain conditions. According to Oregon Live, the bill heads to the house with bi-partisan support. It is designed to solve the problem that motorcyclists and bicycle riders face of being stuck at red lights that do not change. If the law passes, motorcycle riders and bicycle riders need to ensure that they follow best practices for safety and stick to the letter of the law, only going through the light under the limited conditions permitted. A personal injury lawyer knows that many drivers already have difficulty sharing the road with motorcyclists and with bicycle riders. Drivers often do not respect the space allotted to motorcyclists and bikers and may try to pass bicyclists without leaving enough room or may follow too closely behind motorists. Drivers also may not check carefully enough to see if a motorcyclist or bicycle rider is in their path before turning or passing, leading to a serious bicycle accident in Oregon. Drivers have an obligation to ensure they are not endangering motorcycle riders and bikers. If this new law passes, drivers will need to be aware that they cannot always count on a red light to mean that no one is coming. Drivers need to be vigilant and pay attention to the roads at all times to avoid causing a deadly accident. The new proposed law allowing bikers and motorcyclists to go through certain lights is designed to address the problem that often bikes and motorcycles are not heavy enough to trigger sensors under the pavement that tell the light to turn green. As a result, these riders can end up sitting through multiple cycles at a light that never changes. The new rules will allow bikers and motorcyclists to go through the red signal if the traffic signal does not turn green after a full cycle. The motorcycle rider or bicycle rider have the discretion to make the choice about when to go through the light or not. The proposal is in response to a group of motorcyclists who said they ended up having to choose between breaking the law or holding up traffic. Not everyone is in favor of making the change, though, because there is always a risk when trusting the discretion of motorists about whether to go through a light or not. Some have suggested that it may be a better approach to simply fix the sensors so they can trigger even with smaller bikes and motorcycles. If the law does pass, hopefully it will have a positive impact and not put motorcyclists and bike rides at greater risk of harm.